It is almost apple season! And with that comes the opportunity to have fun learning with an apple theme. 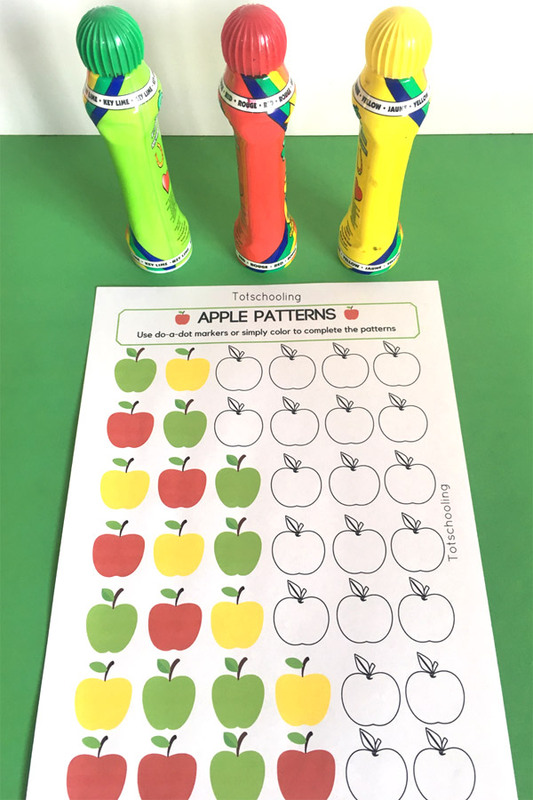 This apple patterns activity is perfect and oh, so fun too! Patterning is Math for preschoolers. 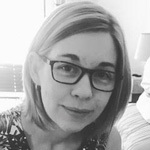 Identifying a pattern is an early mathematical skill and will help a student to identify more complex patterns in Math at a later stage of his/her life such as skip counting. Use fun activities like this to encourage patterning. We would also suggest that you start off making patterns with physical objects such as pom pom "apples"(or real apples if possible). Use the printable to guide you or simply place green, red and yellow pom poms on these sheets before dabbing the colors. 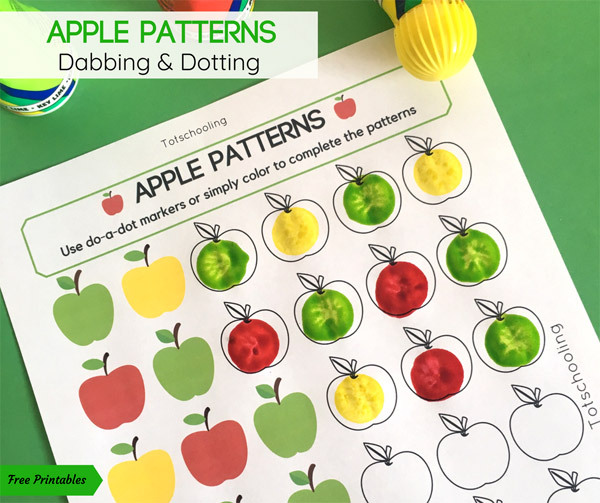 This patterning activity develops visual discrimination plus color recognition - deciding which color to use and where, as well as hand-eye coordination - where to dab the marker. When simply coloring the apples with crayons/pencils, fine motor skills are developed. 3 versions of these printable worksheets are available, making differentiation easy for you: a full color one, black & white one and then a color one that you can cut into strips. This last one is recommended for young children where the full color might be a bit overwhelming for them. 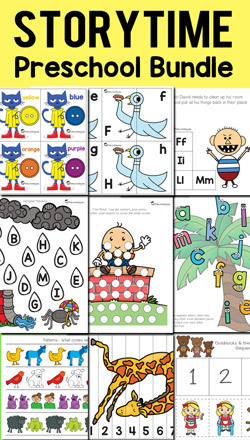 Use the full color for preschoolers that are used to patterning. The black & white version is perfect for children that can already read the names of the colors - adding a literacy twist to the activity. A great activity for Back to School time and Fall too! 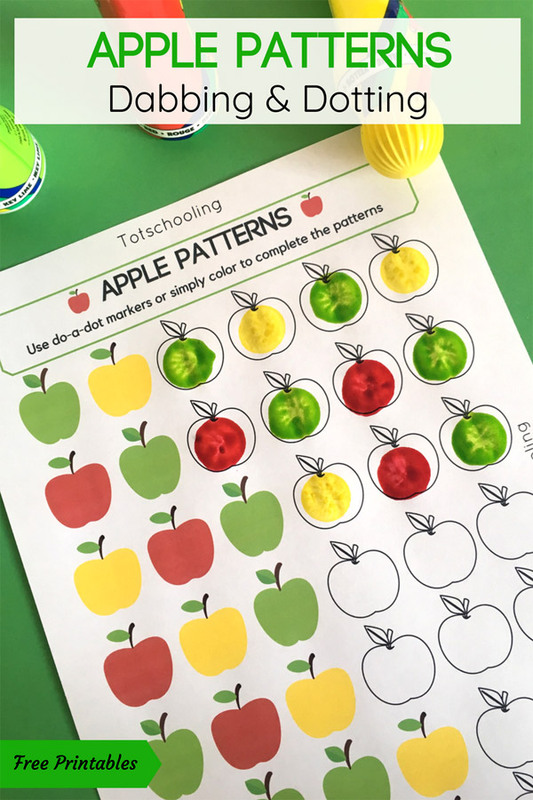 Have fun making apple patterns with your little learners and work on those early mathematical skills! Thank you. You have a great idea, very creative, fun and it will stimulate your child's development. Perfect, I like it. 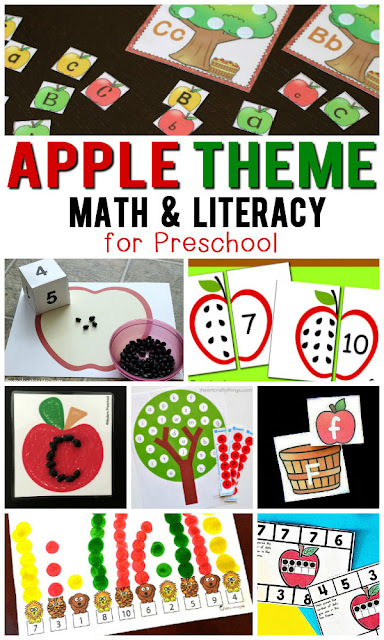 This apple modeling activity is perfect for children, helping children develop skills.